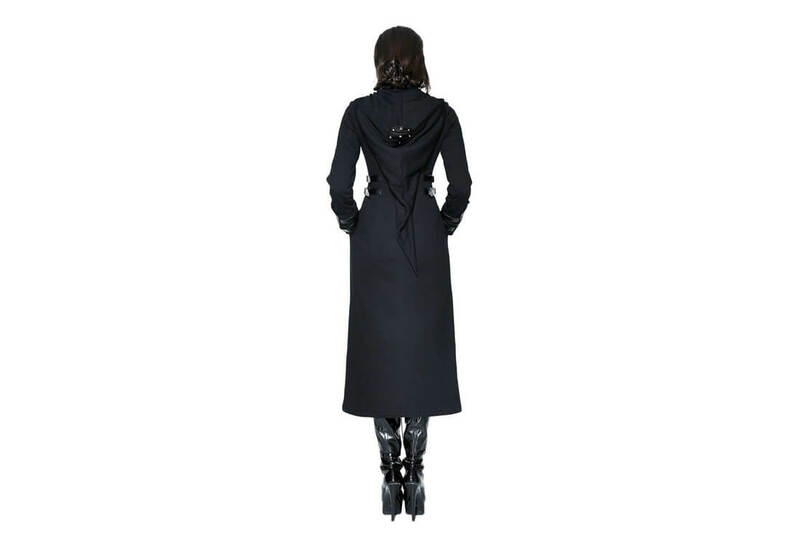 This fantastic long women's trench coat not only looks great it is soft and warm. The front has a mid length zipper with a decorative zipper fob and stitched pentagram details. This coat comes with two side pockets and has an over-sized hood.